Many people aspire to be entrepreneurs, taking the appropriate steps to create their own businesses in search of finding success. However, it’s easy to get bogged down with actual business tasks and forget some of the more important things that go along with working for yourself. It’s important to have a delicate balance between work and life so that you’re able to give it your all and develop the best chance for success, no matter what type of business you start. The Delicate Balance between Home and Work. When you’re an entrepreneur, it’s easy to take work home with you. While it’s admirable at times, if you overdo it, you can disrupt the balance between your work and home lives. Lines blur and before you know it, you’re sacrificing your relaxing time with friends and family for work, which can lead to increased stress levels. Some people even turn to drugs or alcohol to help cope with the stress. Checking into a men or women’s recovery center can help eliminate the habit before it becomes a real hindrance to succeeding. Planning is an essential part of starting a business, and knowing what you’re going to be responsible for each step of the way makes it easier. Break the plan into phases and then tackle each phase individually, ticking off all the tasks as you go along. Having your plan written down not only makes implementation simple; it also helps with securing funding from banks and investors. A well thought out business plan will outline your expenses, expected profits and your competition. Do your research into the market, any specific niches you want to consider and present a solid plan on how to break into the field. 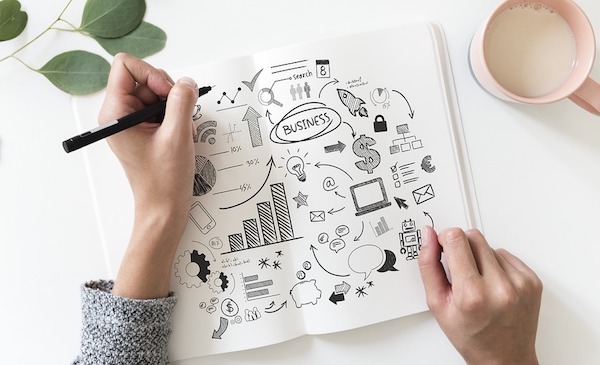 Even if you’re not looking for external funding, a business plan also provides direction on how to take your company so that you make the most impact. There’s seemingly no end to the number of tasks you have to carry out when starting and running a business. It’s very easy to burn out, so it’s important to take care of your health. When you get enough rest, eat healthy and take time out for yourself, you’ll see a noticeable increase in your productivity and efficiency rates. Your brain functions better and it’s easier to make clear decisions. If you feel yourself on the verge of burning out, take a step back and try to slow it down. The end result may be your business taking longer to get off the ground, but at least you’ll be well enough to handle the challenges. Starting a business may be your life’s dream, but there are plenty of things to think about before you take the plunge. A well-balanced work and home life are essential, as is taking care of yourself so you can make smarter decisions. At the end of the day, you’ll be better prepared to make a real go of whatever venture you decide to pursue.